So far, MK7.5 >>>> MK8. Not sure on the Arteon styled front end, or the more rounded look. I can't tell with the black car but the differences appear to be pretty tiny, especially out back. VW isn't likely to make a giant shift in design for anything Golf related, I bet the guts of it will be marginally different too as in it'll likely still have some 1.8T/2.0T motor, a TDI option (in Europe), an eGolf similar to what's there now, etc...all riding on a MQB platform. Good chances on that. Just form these (pre-production?) shots, it looks a bit rounder & less aggressive than the MK7.5. The non-GTI/R versions of even the mk7.5 Golf look about as aggressive as a carebear. Truth, I guess I'm just accustomed to overlooking the plebian-trims & only really notice the GTI/R around here. I thought the article I saw said there were stickers on it to mask some details. Maybe that’s why it looks weird. I'm seeing those stickers now, but not fully convinced that they're the reason why. 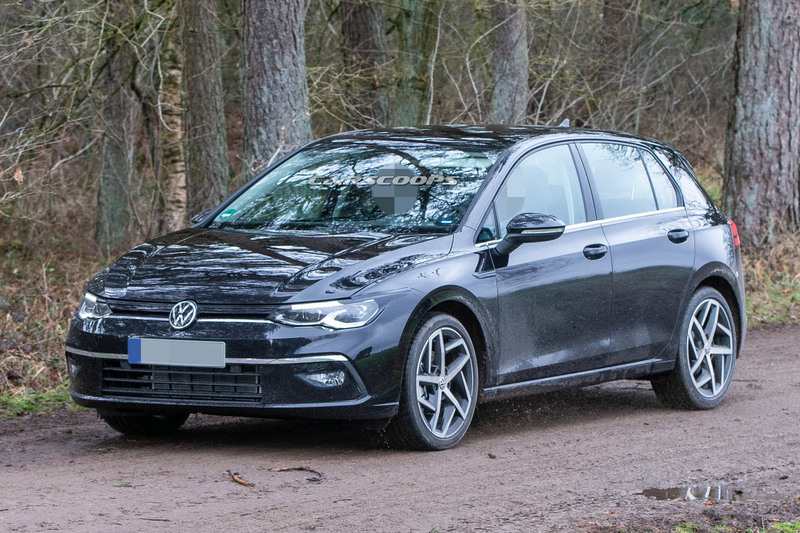 As we are approaching the world reveal of the eighth-generation Volkswagen Golf, it’s understandable why more and more reports are emerging about the spicy Grand Tourer Injection expected to go on sale in 2020. According to Autocar, former VW Group chairman Matthias Müller was eager to electrify the Golf 8 GTI, but his successor, Herbert Diess, sees things differently. Ultimately, the hot hatch from Wolfsburg will do without the hybrid setup and will stick to the tried-and-tested formula: evolution rather than revolution. In other words, the Golf GTI in its eighth iteration will feature the same turbocharged 2.0-liter gasoline engine available in today’s car, but output will grow to 252 horsepower for the standard model. The GTI Performance will allegedly be replaced by a new GTI TCR with 286 hp on tap, which would be exactly the same as the namesake model recently launched in Europe. The horsepower gain will be complemented by a torque bump over the current 258 pound-feet (350 Newton-meters) and 273 lb-ft (370 Nm), respectively. Not only will the Golf GTI carry over the 2.0 TSI, but the six-speed manual gearbox and the seven-speed, dual-clutch automatic will also be inherited from the outgoing model. The mild hybrid setup originally planned for the car with a 2.0-liter gasoline engine working together with an electric motor and the 48V electrical architecture has been ditched, says Autocar. The lesser versions of the Golf will employ this hybrid arrangement, but with a 1.5-liter TSI for the gasoline-fueled models and a 2.0-liter TDI for the diesels. VW has already announced plans to kick off production of the new Golf in June, and sources close to the matter have told Autocarthe official reveal is scheduled for this summer. Plot twist: “The GTI is likely to join it at that event,” according to the report. So...a minor change as expected then. I bet the GTI performance doesn't cross the pond either. Unlikely, even though I imagine it would sell well, for those that don't want to shell out GolfR money. True, but I imagine the MK8 R to get an MSRP increase. Earlier this month we learned Volkswagen ultimately decided to ditch a hybrid powertrain for its next-generation Golf GTI hot hatch, due to premiere next September at the Frankfurt Motor Show. Instead, VW is sticking with the status quo by offering an updated version of the 2.0-liter turbocharged four available in today’s GTI. And, of course, it’ll be more powerful, as we also previously reported. Another earlier piece of information claimed that VW will offer an even more extreme GTI variant, called the TCR, though it’ll be less powerful than the next Golf R. A new report from Car Magazine, however, clarifies what this new trim will officially be called: GTI Cup, which is inspired by the current GTI TCR, a three-door, overseas only limited edition GTI good for 286 hp. That’s only 10 hp shy of the Golf R’s output. Apparently, VW feels there’s a market for an in-between model so it’s making it a permanent thing. The GTI Cup will not be limited edition and will boast a number of exterior upgrades as well. Some of these include an extreme aero kit, lower ride height, fatter wheels, bigger brakes, and a differential lock. Output is said to still be around 286 hp and 273 lb-ft of torque. And here’s the best part: VW will remove the top speed limiter chip for an extra fee. Instead of the typical 155 mph maximum speed, that figure will increase to 166 mph. Even the current Golf R has a 155 mph top speed. The report also notes the next Golf R will also be more powerful, which we already knew. Expect at least 328 hp and 295 lb-ft sent to all four wheels through the familiar seven-speed dual-clutch. But the big news here is really the existence of the new GTI Cup. It’ll not only cost less than the Golf R, but will also weigh less too because it lacks an AWD system. Although we won’t know specifics for several months, its power-to-weight-ratio could be best in class and maybe, just maybe, challenge the Honda Civic Type R to a certain Nurburgring record. 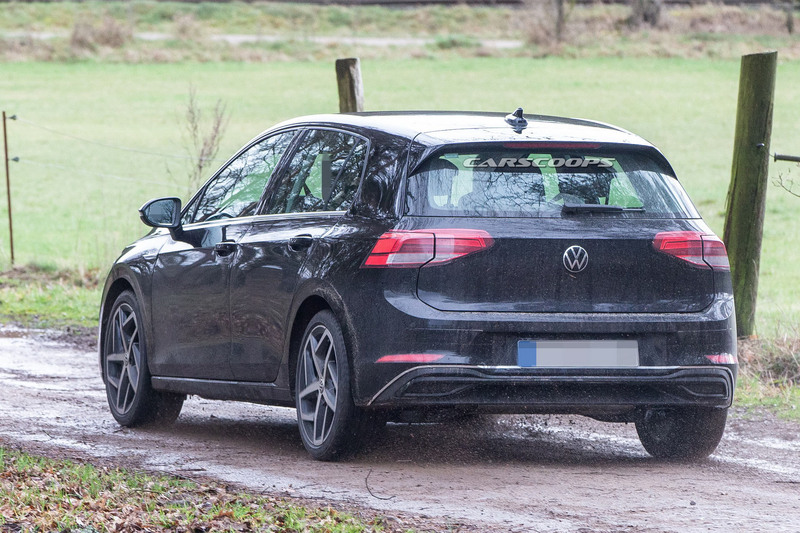 While VW did not reveal the all-new 8th generation 2020 Golf at this week’s Geneva Motor Show as many of us anticipated, we believe we can make it up with the best and most revealing photos of the popular compact model yet. It’s virtually undisguised, as only the front and rear lights have some distracting fake decals. However, the production car will use similar lighting units on both ends, so styling-wise, we don’t anticipate any surprises between now and its unveiling later this year. VW’s latest design language seems to fit the MK8 Golf pretty well, giving it an overall sleeker and more modern appearance, while also paying homage to the MK7 model, which ditched the MK6’s curvy lines in favor of a sharper look. Still, every single body panel is new on the MK8, and the front end design gives it a squinty, sort of menacing aesthetic, somewhat similar to the Arteon’s. The car also looks wider than before and if you look close, you’ll notice that the base of the mirrors sits on the actual door panel, rather than on the window line – an interesting choice. As for the new rear end, it allows the MK8 Golf to hold onto its personality, as it looks nothing like the smaller Polo. 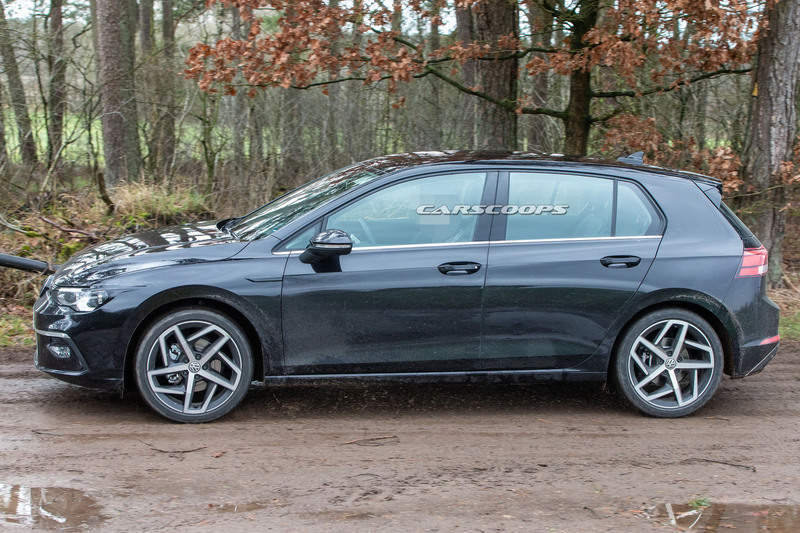 We have yet to see an all-new VW Golf prototype with an exposed interior, which is a shame because the German automaker will surely bring the nameplate up to date with the rest of the C-segment as far as on-board tech and active safety is concerned. It should also feature higher quality materials than the MK7, a Virtual Cockpit digital gauge cluster and a bigger and better infotainment system than before. The MK8 Golf will ride on an upgraded version of the current car’s platform, dubbed MQB Evo. As a result it will weigh less (up to 45 kg / 100 lbs) and have a slightly larger wheelbase, which in turn means more room for passengers and possibly even a bigger trunk. Production is expected to commence this June, starting with a range of turbocharged three- and four-cylinder petrol and diesel versions, joined later on by either full or mild-hybrid models, as well as top-of-the-range GTI and R models. The public will likely see the car in person this September at the Frankfurt Motor Show. I kinda like the proportions. More like a MK7 evolution than a redesign, but not in a bad way. Like the look from the back, the front looks kind of droopy. Interested to see what the inside looks like. One of Volkswagen’s big news stories from the Geneva motor show is the T-Roc R, a small SUV with the same 296bhp, all-wheel-drive mechanicals as a Golf R.
“I believe this car drives better than the Golf R,” VW’s R division boss, Jost Capito, bullishly tells us. Well of course he would; it’s the newer car. But it still surprised us that he’s so certain of it when you’d naturally expect a heavier, taller car to suffer compromise. “Of course there’s a higher centre of gravity, but I would say that’s the only difference. The rest of the chassis setup you can do exactly the same. All those tweaks are learnings from Golf R, Capito tells us; things that would have been applied to a new Golf R too, had that arrived before the T-Roc R. So does it all mean we can expect the R treatment on much more stuff? More SUVs, perhaps? A rare case of a German performance brand actually placing a ceiling on its power outputs, then. Perhaps. Though a chat with Volkswagen board member Jürgen Stackmann revealed the R version of the mk8 Golf will still be pretty potent. 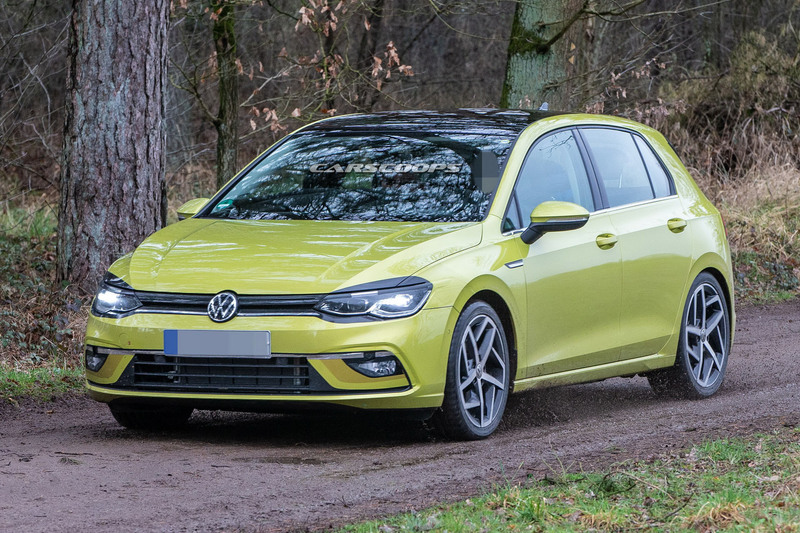 It was only about a month ago when Volkswagen revealed the reasons why it didn’t put the Golf R400 into production and now a new juicy rumor claims something similar in spirit is being developed for the eighth generation of the compact hatchback. 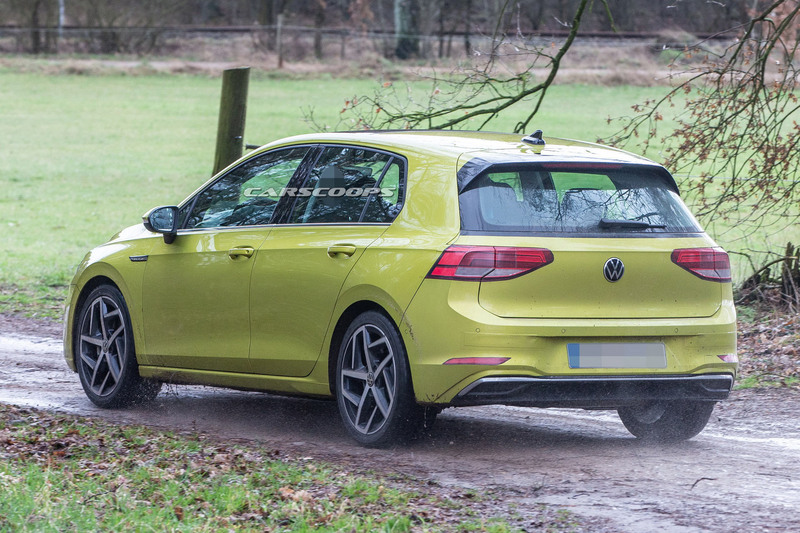 The R400 was rejected because it would’ve been too expensive to buy and maintain, but now Autocar says a Golf R Plus is in the works with close to 400 horsepower and a price similar to that of the Audi RS3 Sportback. Although not green-lighted just yet, the model in question has the support of VW’s boss Herbert Diess. Not only that, but a styling proposal has already been completed and the plan is to make it a lot more aggressive than the standard Golf R. The go-faster version is expected to have anywhere between 380 to 400 horsepower from a turbocharged 2.0-liter gasoline engine developed by Audi. In the base Golf R, the four-cylinder TSI unit will be good for somewhere in the region of 320 hp. In charge of sending all that power to a newly developed 4Motion all-wheel-drive system will be a dual-clutch, seven-speed automatic transmission offered as standard, so don’t hold your breath for a manual. Performance levels should mirror those of the ill-fated R400, which needed only 3.9 seconds to reach 62 mph (100 kph) and topped out at 174 mph (280 kph). 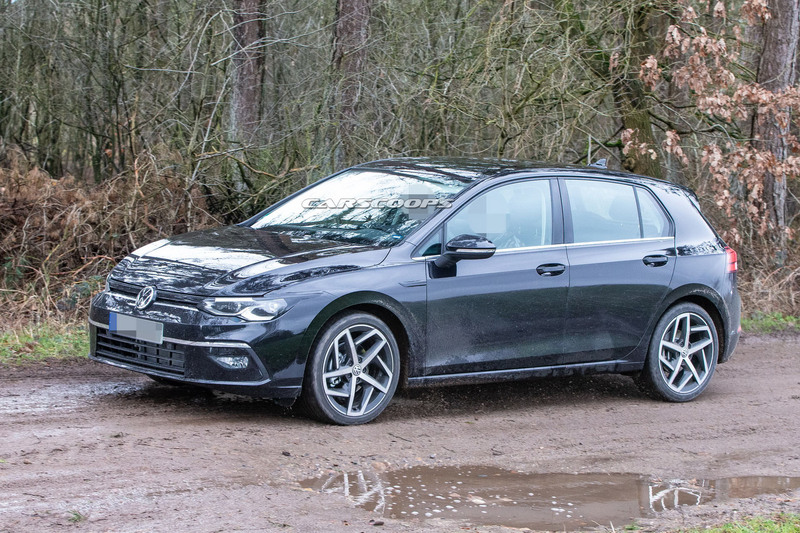 The AWD hot hatchback in regular guise is going to be offered strictly as a five-door model once it will go on sale in 2020, with the meaner Plus version in the same body style coming later in the life cycle provided it will be approved for production. Even if it will get the full 400 hp, it will still be down on power compared to the upcoming Mercedes-AMG A45, which in its highest state of tune will have a monstrous 416 hp. It goes to show the horsepower wars are far from being over, and we’re expecting great things from the next five-cylinder Audi RS3 as well. A car like that won't make it in the US. The Mk7.5 R is already $41k. This car will most likely be pushing $50k.